Josh Hasten touches on the the various fronts from north to south, in which Israel was forced to act militarily. 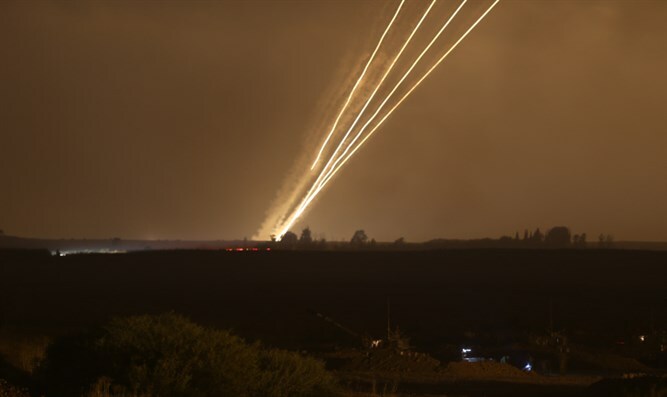 Josh Hasten touches on the the various fronts from north to south, in which Israel was forced to act militarily in self defense over the course of this past week. Another rocket was fired by Gazan terrorists at Israel’s southern communities over the weekend accompanied by additional Hamas threats. The IDF responded by striking Hamas terror targets. At the same time, Israel has uncovered a sixth Hezbollah terror tunnel from Lebanon as part of "Operation Northern Shield." Also, Prime Minister Binyamin Netanyahu opened his cabinet meeting on Sunday by admitting that Israel was behind a strike on an Iranian arms warehouses in Damascus, Syria, a day earlier.